At last! After getting our first confirmed entry of Eurovision 2018 way back in December, we’ve finally entered double figures. 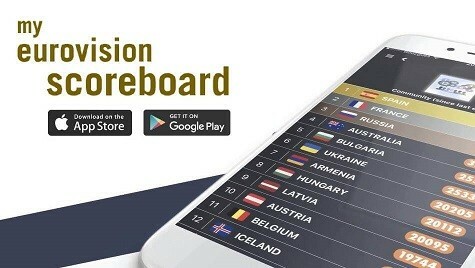 Over the past 48 hours, Greece, Belarus and Montenegro have all revealed their acts for Lisbon. This brings the total number of confirmed entries to 12. And, as always, it’s time to vote for your favourite. You can listen to all three new entries below. Then vote in our poll. Choose wisely, you can only vote ONE time. Voting ends at 23:59 CET on Monday 19 January — just ahead of the Serbian selection on Tuesday. On Friday, amidst some drama, Greece unveiled Yianna Terzi as its 2018 representative. Originally, she was due to take part in a national final with “Óneiró mou”. However, after multiple disqualifications, Yianna became the last one standing and the planned selection show was canned. Her experimental yet traditional number is already dividing fans. How will voters react to it in May? From a surprise announcement in Greece to a result that was completely expected in Belarus. Ever since he abandoned his native Ukraine for neighbouring Belarus, Alekseev was the firm favourite to succeed Naviband with “Forever”. And on Friday he made everything official, winning both the jury and televote in the national final. However, from the start he has been surrounded by controversy regarding the release date of his entry. Will he be able to shake it off before heading to Portugal? They’d gone internal since 2009, but on Saturday Montenegro dusted off its old selection format Montevizija for 2018. Five acts competed, with Vanja Radovanovic and “Inje” emerging victorious. The entry has failed to generate much excitement thus far, but perhaps that could change as the season progresses. 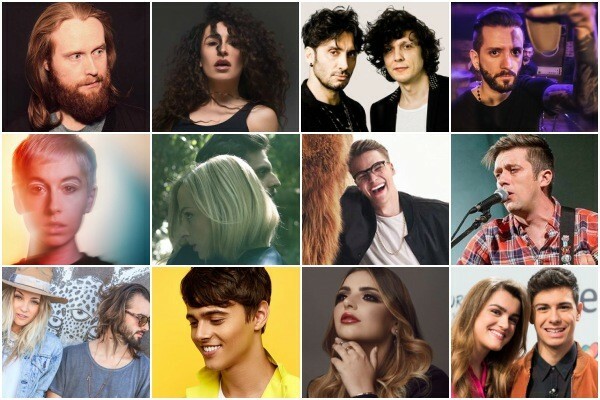 Who is you favourite Eurovision 2018 act so far? Could one of these 12 be the ultimate winner? Let us know in the comments below. And while you’re at it, share your rankings! The most beautiful song is “Mall” Eugent Bushpepaj from Albania. Wow!!! Greece!! That’ s pure art!!! The instrumental part is unique!! Like Zeus is having a party at Olympus!! I am not sure that the audience in eurovision is very educated in that kind of sound to vote it, but is so mysterius and different, that no matter what we will have 3 minutes of something sophisticated! Greece’s song is perfection. I give them kudos for singing in Greek because I’m getting tired of everybody singing in poor English. This Greek song is so fresh it seems like it came out of the ocean. Mermaid song. Yes! That’s it. I am torn between Italy and Spain and close follow-up France. It is brilliant that the four front-runners are song entirely in the native languages. Well done! – Mikolas is amazing live so..? Every year during the national finals season fans are complaining about that year’s Eurovision being one of the worst editions, but finally it becomes one of the best editions, so i don’t understand why they have to complain everytime. The actual show – that’s what it is important! It is not weak year. Only 12 songs have revealed and I think all of them are good. Maybe UK and Montenegro are boring. I hope The Netherlands, Norway, Estonia, Azerbaijan and Sweden will give to us beautiful songs. You hate them more than anything in the world. Wow, you really do take Eurovision seriously ? Not possible! i think there are really nice entries!!! Denmark, Albania and Greece, I just love those! I also like very much Italy and France! I think we have very nice songs this year too! Albania still my favourite but it’s still a weak bunch, I honestly wouldn’t rate any of these higher than a 6. Probably because its a really good entry for France ? The beat and the emotion of the song is what people like in French entry. You can also ask the same thing with Spain and Italy. I like Spain, France, Greece, Denmark, Italy, Belarus. But there’s still no song that could make me vote for it. People should stop using word „POLITICAL” if you don’t understand what does it mean! It’s political to let people die? I DON’T THINK SO. It’s political to let a little baby drown in the sea? I DON’T THINK SO. Songs from Italy and France are not a political songs! Think people, before you talk. Yes italian song is not political at all. It’s a song which let us think that we are civil citizens with principles and respect the others ( religions, cultures, etc.) Otherwise we will be in civil war in each country office Europe. Because the one neuron in charge of vocabulary is out of order. Most don’t understand the meaning of words. The French entry is simply the telling of a story. The performers take no position on the issue. They just sing: “this happened”. It is political in the way every entry from the United Kingdom is about Brexit, regardless of what the lyrics actually say. Haha, Italy and France are not political at all! It’s political to let people die? Let a little baby drown in the sea? That’s political?! ESC would force Italy and France to replace it’s entries if the songs were political ones. And that’s not the case. These songs talks about inmigrants trying to have a better life, putting their own lives in risk, or people trying to move on after a terrotist attack. Hi, why is Italy political, i like ur top that is why i want an answer from you.. ?? And thank you for recognizing Eugent Bushpepas talent?? Nuk ka nevoje per 100 pikepyetje ne fundfjalie o idiote. Sidomos kur fjalia nuk perfundon ne pyetje, vendoset pike. (Nje pike). Well, I don’t know about you but since yesterday I can’t stop listening to Greece’s song. Next favourite is the French entry. I’m torn between Greece and Denmark for my #1 which makes little sense I know, so different but I really like both. And Spain is also growing om me. This is going to be a weak year for me. I’m only like France. Italy has been growing on me, though. Italy & France. Sanctimonious , bleeding hearts and pseudo political. I hope they end up in the bottom . Both. I hope that too. To use children suffering as gimmick, and to pretend is humanist, when you only want votes, is the lowest of the low. And in real life children are still in the middle of the war because their mothers didn’t have 10,000 euros to buy a place in a rubber boat. It makes me sick. When I saw Italian video with those children, I felt sick how low this can go. Just curious, did you have similar feelings about Jamala’s 1944? Did you really understand the meaning of Italian song? In your opinion a typical song from Italy should be pizza and mandolino style? I voted France, but not a winner. At this point I expect good songs from Ukraine, Finland, Azerbaijan, Sweden, Australia, Belgium, Bulgaria, The Netherlands, Estonia and Latvia. 02. Greece 10/10 ( Greece have the same mark as France but because France has more impact Greece is my number two. So far i am not very impressed with the songs. It started so well and then went downhill. I have high hopes for Russia, Ukraine, Armenia and San Marino. Poison is one of my favorite songs. About Russia, i know they have chosen Yulia Samoylova but they always have great songs. It’s my opinion… I forgot Netta and Israel in my list. are you actually serious, Salvador was the one of the best winners ever and if the old voting system was still here he would have done a eurovision record. He surpassed Alex’s total of points in 2009. I don’t think Spain will win, but if they did GOOD FOR THEM! And about Sobral, his performance was beautiful and outstanding. Dont forget the sun (areti ketime) or oneiro mou ?tell me ur opinion.. I love Areti Ketime! I really liked the melody and instrumentation in her song but I find it a bit underwhelming. I’d have expected more from her. Oneiro mou is a good choice. I love Areti, she’s a great singer, but Oneiro mou is better song imo, good choice. Czech Rep and Greece for now ? ? It’s still France, Switzerland and Czech Republic in my Top3. I want San Marino to do well, Jessika is death. People will think is Valentina Monetta with ‘The social network song’ all over again. Jessika even looks like Valentina. Denmark, Albania, Greece and France. The rest are not my cup of tea. I would give a better ranking to France and Spain, but I like the other songs better.